Pure BCAAs are everything you need to rebuild, repair and trigger lean muscle growth. 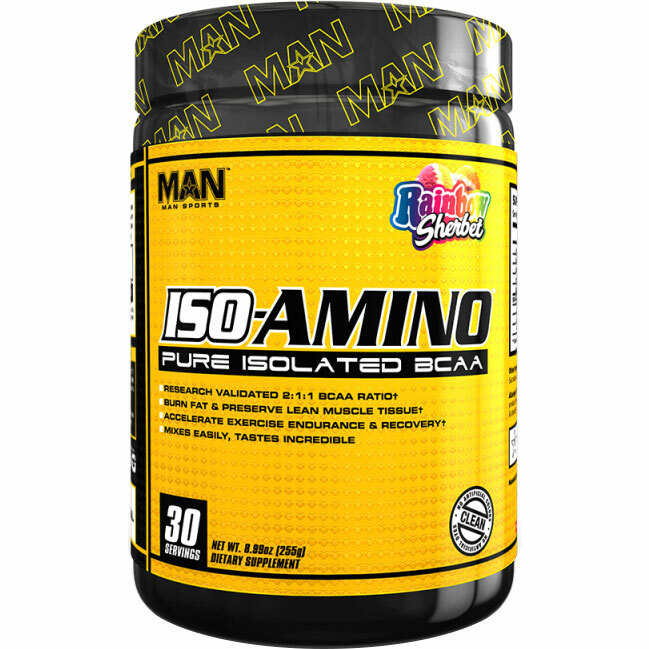 ISO-Amino is a throwback to the old school BCAA's that are just that, pure isolated BCAA's. No added marketing fluff, prop blends, or underdosed "everything & the kitchen-sink" formulas that only cushion the manufacturers wallet. provenBCAAs in a 2:1:1 ratio have been clinically studied and PROVEN to effectively aid in muscle repair, growth, muscular energy and even fat loss. BCAA products with inflated ratios of 8:1:1 or even 10:1:1 show no added benefit over their 2:1:1 counterpart. 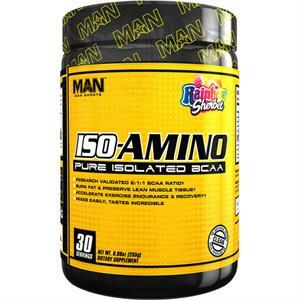 Suggested Usage: As a dietary supplement, mix one serving (one level scoop) of ISO-AMINO with 8oz of water. Stir or shake and consume during exercise on training days, or throughout the day on both training and non-training days. 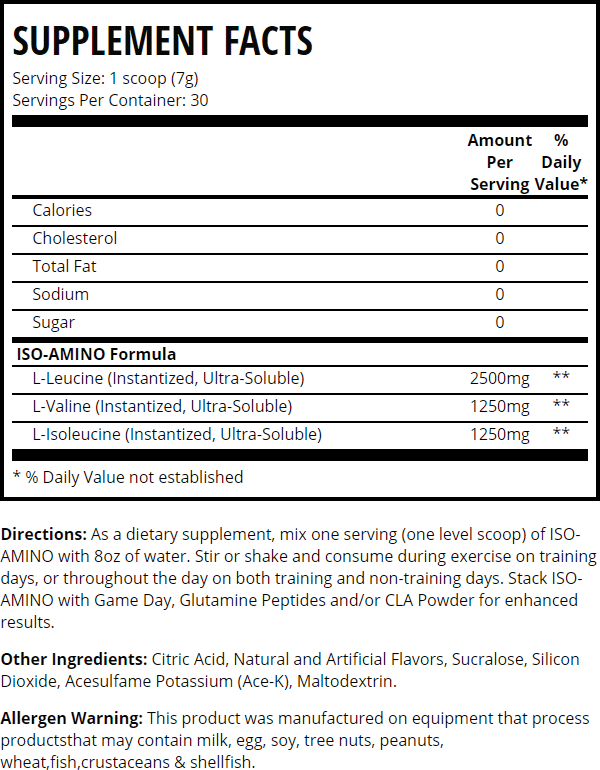 Stack ISO-AMINO with Game Day and/or CLA Powder for enhanced results. It has nothing to do with science or efficacy -but It's important to enjoy what you spent your hard earned money on. We take flavor & mixability very seriously. This is where ISO-AMINO stands as the clear leader. MAN Sports has made monumental advances in flavor systems to provide extremely unique, one-of-a-kind flavors. Try any of our unique flavors from Tigers Blood to Dorks, Sour Batch to Sweet Delish and you'll be hard pressed to find flavors that come close, supplement or not! Mixability was of the utmost concern when creating ISO-AMINO. There absolutely couldn't be those annoying "floaties". 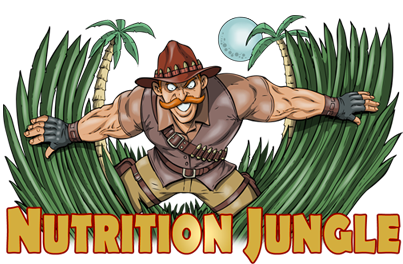 It needed to mix like sugar in water – and due to being high-grade instantized BCAAs, it does just that!